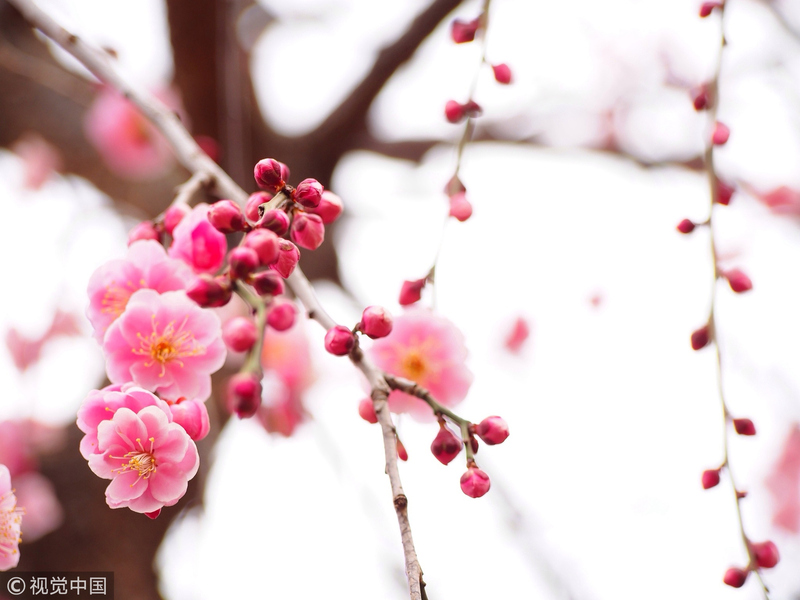 Plum blossom has burst forth at Shanghai Botanical Garden in Xuhui District, about 10 days earlier than last year, the result of mild temperatures and humid conditions. Wintersweet is also in full bloom at the park. “This is our earliest flowering since 2011 because the weather has not been so cold these days and there has been plenty of rain,” said the park’s Zhu Jijun. The tree prefers warm, humid conditions with temperatures between 5 and 10 degrees Celsius, Zhu said. The park boasts about 350 blossoming plum trees of nearly 60 varieties including some rare species. The blooms are red, white, green and pink with a light fragrance. The best time to see them is usually during Spring Festival, Zhu said. At Chenshan Botanical Garden in Songjiang District and Guyi Garden in Jiading District, some early plum have also flowered. Shanghai Haiwan National Forest Park, Century Park and Zuibaichi Park are other places to appreciate the seasonal display.